1948-2008 – Human Rights: The land of milk and honey in concern of the human rights? New York / London / Berlin./3mnewswire.org/November 1, 2008. In some days the entire world will celebrate on December 10, 2008 the 60th anniversary of the proclamation of the UNIVERSAL DECLARATION OF THE HUMAN RIGHTS by the United Nations in New York City in 1948 in the United States of America. As a French-German journalist, broadcast journalist and author I have been for about three years on a special research which is not over yet to find the country which could be best described as the country where milk and honey do flow in rivers in concern of the promotion, granting and support of the Human Rights. It was crystal clear from the beginning of this international research that Germany during the years of the NAZIS Holocaust from 1933 to 1945 will not match these criteria. But what about Germany 70 years after during the Reichskristall-Nacht in 1938? The Synagogues of my Jewish brothers and sisters have been burned in Germany and about 10 million people have been killed in the German concentrations camps. It was perhaps one of the worsest disasters ever which have taken place in history of the human mankind. Another 50 million people have been killed during the Second World War. There must be a change after 70 years, am I right? There was a chance in December 1948 when the UNIVERSAL DECLARATION OF THE HUMAN RIGHTS have been proclaimed by the United Nations. As Germany is a part of the universe the UNIVERSAL DECLARATION OF THE HUMAN RIGHTS are valid in Germany also. No one man or woman would ever doubt that Germany is not a part of this universe. There have been important changes but not in all areas and in all regions of the country of Germany. Certainly in 2008 Germany is still not meeting the criteria of a land where milk and honey do flow in rivers in concern of the promotion, support and granting of elementary and fundamental human rights such as the freedom of speech, the freedom of conscience the religious liberty and other basic rights which are granted in ARTICLE 18 and ARTICLE 19 of the UNIVERSAL DECLARATION OF THE HUMAN RIGHTS. It is always easy if German citizen especially famous politicians like Dr. Frank-Walter Steinmeier and German chancellor Dr. Angela Merkel are traveling to countries far away from Germany and do express their support for human rights and their concerns about the serious violations and abuses of the human rights in other countries, which is an important duty. 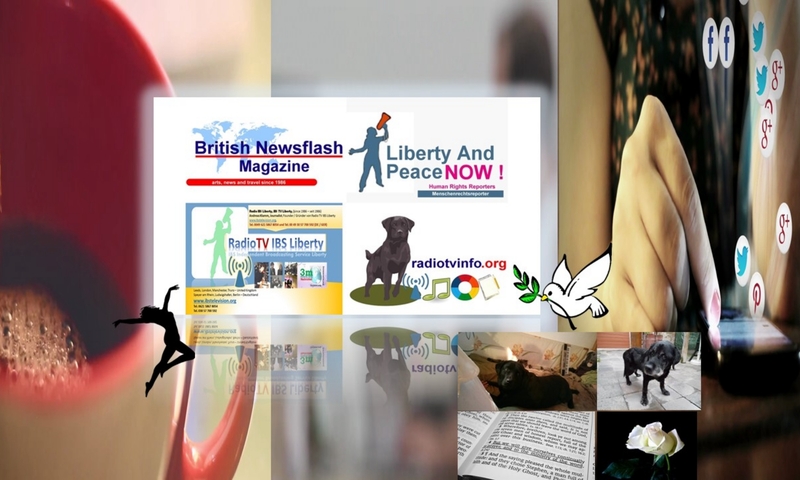 As a journalist, broadcast journalist and author of several books including the book „Liberty and Peace NOW! Human Rights Reporters“ I do know that it is a very difficult duty to criticize other countries in concern of the serious abuses and violations against the UNIVERSAL HUMAN RIGHTS. However some people have been asking me. „Please, as you are French-German journalist and citizen look not to Russia, China, Asia, North Korea, Indonesia first but do us one favor and have a brief look on the situation in concern of the human rights in Germany.“ My thought was „…what shall be wrong with it, if some brothers and sisters from Asia, Russia, Africa, New Zealand and the United States of America have been asking me to have a brief look on the situation about human rights cases in Germany.“ ? Germany in the year 2008 about 70 years after the Reichskristall-Nacht in 1938 has taken place still does not qualify in the criteria of a country where milk and honey do flow in the rivers in concern of supporting, granting and promoting human rights. On http://aitel.hist.no/~walterk/wkeim/files/de_human_rights.htm you will find more than a dozen of cases where people with all kind of different backgrounds, even believers which call themselves Jews, Muslim, Christian and members of other religious systems have to go before EUROPEAN COURTS simply to claim elementary and fundamental UNIVERSAL HUMAN RIGHTS as granted in ARTICLE 19 and ARTICLE 18. BUT what about all these people which are oppressed and their voices have been silenced. These people do not have a single cent to pay the attorney which could help or even defend their basic human rights before the EUROPEAN COURT. This make the situation much worse. Because these people do know very well. Their human rights are abused and violated. They do suffer even torture in a country where torture is forbidden and their voices are silenced, while other politicians and rich people do act like cheer leaders on the screen of the media and television and like to make people believe: „We are the best.“ Knowing very well that Germany is in need of development in concern of granting basic human rights in this country where one of the most horrible disaster have been taking place in the years of 1933 to 1945. My third thought after studying some of the cases of the serious abuses of the human rights in Germany was: The U.N. Secretary-General Ban Ki-Moon should travel on December 10, 2008 to Germany and declare in a public speech to all citizen in this world that we might be able to celebrate the 60th anniversary of the proclamation of the UNIVERSAL DECLARATION OF THE HUMAN RIGHTS in December in 1948 in New York City in the United States of America and that the UN Secretary-General would encourage all human beings in his public speech on this entire planet earth to participate in the PEACE PROCESS that people and their elementary basic HUMAN RIGHTS will be not violated and abused. This is a fact just to celebrate that the UNIVERSAL DECLARATION OF THE HUMAN RIGHTS have been proclaimed in 1948 is certainly not good enough. Human Rights have to be granted and human rights are elementary and fundamental basic rights of all these countries which claim to be a democracy. There is a lot of work in concern of the granting of the basic human rights which needs to be done. All of us should take a part in this PEACE PROCESS. Promoting, the support and the granting of the human rights is perhaps one of the most important peace processes ever especially in those countries which want to go a step forward and to claim to be a democracy in this world. Those which do know the Human Rights should support and help those which are oppressed and suffer in many cases beyond description even in 2008. It is important to know the Universal Human Rights and it is also important to know how to claim the human rights. Nächster BeitragWeiter 1948-2008 – Human Rights: The land where milk and honey do flow in rivers in concern of the human rights?